The evolution of the species♠ Now it's no longer a problem: Air Control! 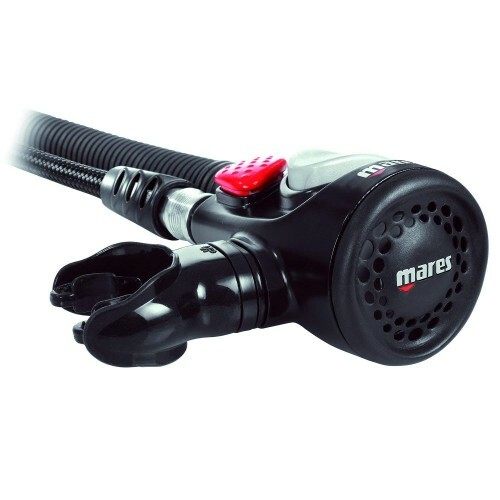 The new mares alternative air source, offers the option to use the same hose for the octopus and the inflator. The pre-oriented mouthpiece makes it usable as a quick and easy octopus. The cover features the mesh-grid system, made of soft material so the purge button is easy to push, even when wearing gloves. It complies with EC standards and can be assembled easily on any inflator hose. Combining the user-friendly features of the puck dive computer with the air integration and display ..